Jonathan Williams, Vice President in charge of the Center for State Fiscal Reform at the American Legislative Exchange Council (ALEC), addressed a luncheon gathering of the Wichita Pachyderm Club on July 22, 2016, presenting “A National Perspective on Kansas Fiscal Policy.” View below, or click here to view at YouTube. Videography by Paul Soutar. 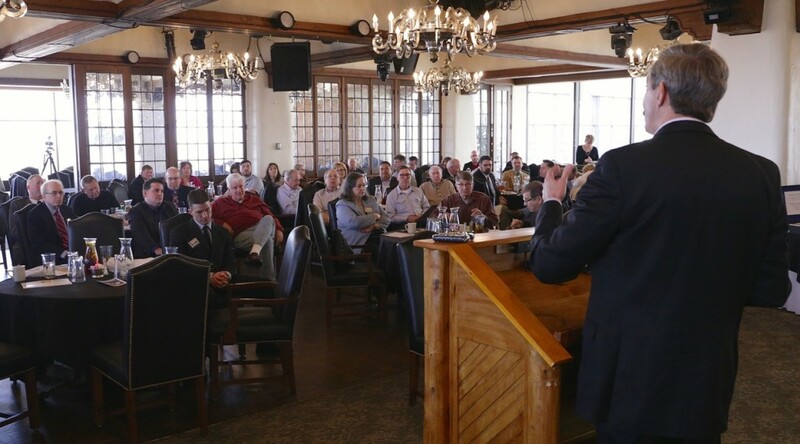 Wichita City Manager Robert Layton held a discussion titled “What are Wichita’s Strengths and Weaknesses: A Conversation for a Positive Community and City Agenda” at the February 26, 2016 luncheon of the Wichita Pachyderm Club. Notes were taken by an assistant and can be viewed here. View below, or click here to view in high definition at YouTube. Videography and production by Paul Soutar. 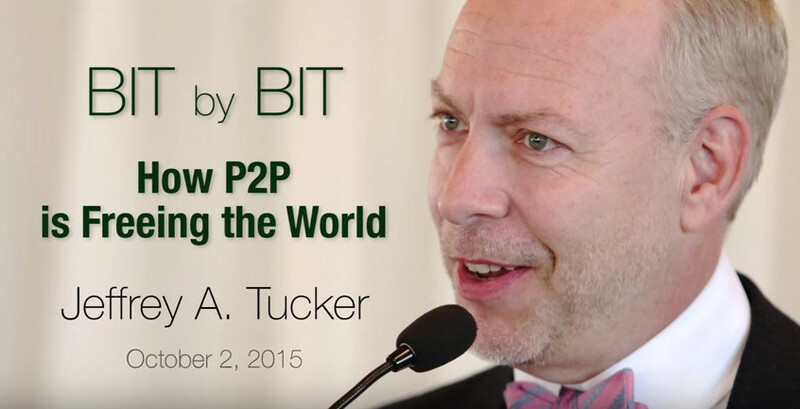 Jeffrey A. Tucker, Director of Digital Development at the Foundation for Economic Education, talks about his new book, “Bit by Bit: How P2P Is Freeing the World.” The book is an explanation of how Bitcoin type cryptocurrencies work as a “peer to peer” innovative payment network and an alternative exchange system. Tucker gave the presentation October 2, 2015, at the Wichita Pachyderm Club. View below, or click here to view in high definition at YouTube. Videography by Paul Soutar. Last week Robert E. Litan delivered a very interesting talk to the Wichita Pachyderm Club. The talk was based on his recent book Trillion Dollar Economists: How Economists and Their Ideas have Transformed Business. View video below, or click here to view at YouTube. Video production by Paul Soutar. The moral case for capitalism. “Two main charges are typically marshaled against capitalism: it generates inequality by allowing some to become wealthier than others; and it threatens social solidarity by allowing individuals some priority over their communities. … Capitalism does allow — and perhaps even requires — inequality. Because people’s talents, skills, values, desires, and preferences vary and because of sheer luck, some people will be able to generate more wealth in a free-enterprise system than others will; inequality will result. But it is not clear that we should worry about that. … If you could solve only one social ill — either inequality or poverty — which would it be? Or suppose that the only way to address poverty would be to allow inequality: Would you allow it? … More by James R. Otteson in An Audacious Promise: The Moral Case for Capitalism at the Manhattan Institute. Funding pet projects without earmarks. Wonderful! While this plan still relies on government to some degree, it is largely voluntary, which is the direction we need to steer things. “There is a creative workaround that allows funds to flow to those prized pet projects: a commemorative coin bill.” Read more at Heritage Action for America. Harm of taxes. In introducing the new edition of Rich States, Poor States, authors Arthur Laffer and Stephen Moore explain the importance of low taxes. “Barack Obama is asking Americans to gamble that the U.S. economy can be taxed into prosperity. That’s the message of his campaign for the Buffett Rule, which raises income-tax rates on millionaires to a minimum of 30%, and for the expiration of the Bush tax cuts. He wants to raise the highest income tax rate by 20%, double the rate on capital gains, add a new 3.8% tax on all capital earnings, and nearly triple the dividend tax rate. All this will enhance “economic efficiency,” insists a White House economic report. As for those who disagree, says President Obama, they’re just pushing “the same version of trickle-down economics tried for much of the last century. … But prosperity sure didn’t trickle down.” Mr. Obama needs a refresher course on the 1920s, 1960s, 1980s and even the 1990s, when government spending and taxes fell and employment and incomes grew rapidly.” More in the Wall Street Journal at Laffer and Moore: A 50-State Tax Lesson for the President: Over the past decade, states without an income levy have seen much higher growth than the national average. Which state will be next to abolish theirs? Yesterday the Sedgwick County Commission voted to participate in a HUD Sustainable Communities Regional Planning Grant. Republican commissioners Dave Unruh and Jim Skelton joined with Democrat Tim Norton to pass the measure. Below, Paul Soutar of Kansas Watchdog explains why this planning process is a bad idea. The Sedgwick County Commission will decide Wednesday whether to give a consortium of South Central Kansas governments and organizations broad control over community planning funded by a federal grant and based on a United Nations agenda. The Regional Economic Area Partnership (REAP) Consortium for Sustainable Communities seeks to implement a Regional Plan for Sustainable Development (RPSD) for South Central Kansas. Much of the language and goals of sustainable communities grants reflect the goals of the U.N.’s Agenda 21, a global environmental agenda for the 21st century revealed at the 1992 U.N. Conference on Environment and Development in Rio de Janeiro. Agenda 21 is a comprehensive framework for global, national and local action aimed at improving environmental equality through massive changes in how resources are consumed and allocated. Continue reading at Local Planning Initiative Has Federal Strings, UN Roots. Wichita City Council. The Wichita City Council this week considers two items of interest. Spirit AeroSystems will ask for $15 million in IRBs. Spirit will purchase the bonds itself. It will receive a property tax exemption for ten years and exemption from sales tax. No dollar amount is given for the value of the exemptions. … Then, Southfork Investment LLC, a group headed by Jay Maxwell, is asking for the formation of a new tax increment financing (TIF) district. This item, if the council approves, will set December 6 as the date for a public hearing. The vote to form the district would be taken then. … According to city documents, the project is near 47th Street South and I-135. It is planned for 50 acres and one million square feet of retail, hotel, restaurants and office space. For comparison, Towne East Square has slightly less than 1.2 million square feet of space. There will be a medical park on an additional 22 acres. … It appears that all the TIF financing will be pay-as-you go, which is a recent revision to the Kansas TIF law. No bonds would be sold. Instead, the increment in property tax would be refunded to the developer as it is paid. There’s also a joining of TIF and special assessments, where TIF revenue will be used to pay special assessment taxes. … Only a simply majority vote is needed to form the TIF district after the December 6 public hearing. There will have to be redevelopment plans approved after that, and those require a two-thirds majority. Sedgwick County and USD 259, the Wichita public school district each may pass ordinances objecting to the formation of the district. Sedgwick County did that regarding the Save-A-Lot TIF last year, and that project went ahead, despite the claims of the developer that TIF was necessary. USD 259 Superintendent John Allison has recently stated that the school district would not be participating in the formation of TIF districts in the future, as they lose revenue. This will be the first test of that. In 2008 John Todd and I testified that the district should not agree to the formation of a TIF district because of the lost revenue. Officials assured us that the Kansas school finance formula held them harmless, and it didn’t matter if a TIF district was formed. … There will also be a community improvement district (CID) with an additional sales tax of one cent per dollar. … As always, the agenda packet is available at Wichita city council agendas. Crony capitalism. The Occupy Wall Street protests, as well as the group that protested against Koch Industries on Saturday, seem to be opposed to capitalism. Their efforts would be better directed against business specifically, or crony capitalism in particular. There’s a huge difference. Capitalism is a system of absolute respect for property rights and free exchange in free markets. As Tom G. Palmer wrote in his introduction to the recently-published book The Morality of Capitalism, “Indeed, capitalism rests on a rejection of the ethics of loot and grab.” … As for free markets and enterprise Milton Friedman explained that business is not always in favor: “The great virtue of free enterprise is that it forces existing businesses to meet the test of the market continuously, to produce products that meet consumer demands at lowest cost, or else be driven from the market. It is a profit-and-loss system. Naturally, existing businesses generally prefer to keep out competitors in other ways. That is why the business community, despite its rhetoric, has so often been a major enemy of truly free enterprise.” Even one liberal New York Times columnist realizes this, as did Nicholas D. Kristof when he recently wrote “But, in recent years, some financiers have chosen to live in a government-backed featherbed. Their platform seems to be socialism for tycoons and capitalism for the rest of us. They’re not evil at all. But when the system allows you more than your fair share, it’s human to grab. That’s what explains featherbedding by both unions and tycoons, and both are impediments to a well-functioning market economy.” Kristof goes on to explain that capitalism means the freedom to fail as well as succeed: “Capitalism is so successful an economic system partly because of an internal discipline that allows for loss and even bankruptcy. It’s the possibility of failure that creates the opportunity for triumph. Yet many of America’s major banks are too big to fail, so they can privatize profits while socializing risk.” … While most want more regulation on Wall Street and banks, I think that it’s impossible for government to write effective regulations. Instead, markets — if allowed to work — provide the most effective regulation: if you fail, you fail. It’s as simple as that. But George W. Bush gave a bailout, and Barack Obama has followed along. The Dodd-Frank banking regulations, for example, make “too big to fail” an explicit policy. Kansas pensions. Do we know the true magnitude of Kansas’ unfunded pension problem? Do we want to know? Perhaps not, writes Paul Soutar at Kansas Watchdog: “Even though taxpayers in the rest of America eventually may find out what public pensions really cost them, Kansas school accounting practices and the way school retirement is funded may let school districts avoid reporting the true cost of district employee pensions. Some estimates show the unfunded actuarial liability of the Kansas Public Employees Retirement System will more than double from its current official $8.3 billion based on optimistic assumptions to more than $20 billion using the more realistic calculations.” The full story is School Districts May Get to Dodge Accounting Rules on Pensions . … State Budget Solutions, in a recent report (Report reveals aggregate state debt exceeds $4 trillion) made similar findings, writing that our unfunded pension liability is $21.8 billion, well over twice as high as the numbers used by most official sources. The difference: “The AEI figures estimate how large public pension liabilities would be if states used private sector market-valuation methods.” In other words, the real world. Global economics to be discussed in Wichita. This week’s meeting (November 4th) of the Wichita Pachyderm Club features Chris Spencer, Vice President, Regional Sales Manager Oppenheimer Funds, speaking on “Goliath vs Goliath — The global battle of economic superpowers.” The public is welcome and encouraged to attend Wichita Pachyderm meetings. For more information click on Wichita Pachyderm Club Upcoming speakers: On November 11th: Sedgwick County Commission Members Richard Ranzau and Jim Skelton, speaking on “What its like to be a new member of the Sedgwick County Board of County commissioners?” … On November 18th: Delores Craig-Moreland, Ph.D., Wichita State University, speaking on “Systemic reasons why our country has one of the highest jail and prison incarceration rates in the world? Are all criminals created equal?” … On November 25th there will be no meeting. Business and politics. We often hear that government should be run like a business. But the two institutions are entirely different, explains Burton Folsom: “The differences between business and politics, however, is where our focus needs to be. In business, you hire people with your profits to make and sell your product. With those jobs, your employees earn money, spend money, and thereby create other jobs by their demand for houses, cars, iPhones, and household products. Wealth expands, new entrepreneurs get new ideas for products to make, and, if society is free, it becomes prosperous. In politics, you do hire people to run your campaigns and your administration once you’re in office; you do sometimes dole out jobs to build highways, snoop on business, or run the IRS. But almost all of those jobs require other people’s money (i.e. tax dollars) to continue. They take money out of the economy. For example, the jobs created by the Justice Department to check on the trading practices of corporations, the jobs created by the agriculture department to interact with farmers, or the thousands of jobs created to bring trillions of tax dollars each year to Washington are all jobs that take wealth out of the private sector. Looked at this way, the jobs created in business are the productive jobs, the ones that create wealth and give us the thousands of choices we enjoy in breakfast cereal, cars, clothes, and houses. By contrast, each job created in the political class subtracts a job that could be continued or created in the private sector.” … More at The Difference between Business and Politics. Wichita city leaders too cozy with developers? Yesterday I participated in a KAKE Television news story where I explained the need for pay-to-play laws in Wichita and Kansas. These laws generally restrict officeholders from participating in votes or activities that would enrich their campaign contributors. In the story I said “What I, and some of my political allies object to, is what is happening in plain sight: In that there is a relatively small group of people — and their spouses and people who work at their companies — who regularly contribute to a wide variety of city council members, both political liberals and political conservatives, because they know that they are going to be coming to the city council and asking for taxpayer money.” Officeholders and the developers who contribute deny there is a connection between contributions and votes. Curiously, these developers generally don’t make contributions to school board members, county commissioners, state legislators, or federal representatives. Actually, it’s not so curious: It’s primarily the Wichita City Council that is able to vote to give them money. I would say the contributors are acting rationally. … If there is no connection between contributions and votes or consideration, there should be no problem in getting the council to agree to some form of pay-to-pay law for Wichita. An example is a charter provision of the city of Santa Ana, in Orange County, California, which states: “A councilmember shall not participate in, nor use his or her official position to influence, a decision of the City Council if it is reasonably foreseeable that the decision will have a material financial effect, apart from its effect on the public generally or a significant portion thereof, on a recent major campaign contributor.” … KAKE correspondent Deb Farris reported that Wichita Mayor Carl Brewer doesn’t look at the list of campaign contributors. I wonder: does he send thank you letters to his contributors? … Video and story at Wichita City Leaders Too Cozy With Developers? Obama economic strategy questioned. This year’s Nobel prize in economics went to Thomas J. Sargent of New York University and Stanford University’s Hoover Institution, and Christopher A. Sims of Princeton University. In its reporting, the Wall Street Journal explained (A Nobel for Non-Keynesians: People’s expectations about government policy make it difficult for officials to affect the economy in the ways they intend to): “The Swedish economists announcing the award emphasized, correctly, the importance of Messrs. Sargent’s and Sims’s thinking about the role people’s expectations play in economic decision making and the larger economy. But what they failed to mention is that their work has also offered empirical evidence that the school of thought known as Keynesian economics — which believes that government can turn a flagging economy around with the right combination of fiscal ‘stimulus’ (generally government spending) and monetary policy — is fallible.” In further explanation, the Journal writes: “One of Mr. Sargent’s key early contributions, along with University of Minnesota economist Neil Wallace, was the idea that people’s expectations about government fiscal and monetary policy make it difficult for government officials to affect the economy in the ways they intend to. If, for example, people get used to the Federal Reserve increasing the money supply when unemployment rises, they will expect higher inflation and will adjust their wage demands higher also. The result: The lower unemployment rate that the Fed was trying to achieve with looser monetary policy won’t happen. This conclusion was at odds with the Keynesian model, which dominated economic thinking from the late 1930s to the early 1970s. The Keynesian model posited a stable trade-off between inflation and unemployment.” The 1970s however, saw stagflation — both high unemployment and high inflation at the same time, a danger that some feel will grip us in the near future. Keynesianism, of course, is the basis of the economic policy of President Barack Obama and the reason why the economy has not recovered. … While these economists worked on national economies, does the theory of rational expectations apply to state and local governments, meaning that it is very difficult for local government officials to micro-manage their economies through intervention? I think so. Public vs. private. One of the curious statements in Rhonda Holman’s Sunday Wichita Eagle editorial (Say ‘no’ to naysayers, October 9, 2011) was where she wrote of the “crowds increasingly assembling downtown for concerts and events.” Curious because not long ago she begrudgingly realized the cool down at the Intrust Bank Arena, writing: “Intrust Bank Arena’s strong performance during its inaugural year of 2010 couldn’t last. And it didn’t.” (Make case for arena, August 19, 2100 Wichita Eagle) I don’t know if these two editorials are at odds with each other. … I have noticed one downtown Wichita venue that seems to have a lot of concerts, that being the Orpheum Theater. That venue doesn’t suffer from government genesis and ownership as does the arena, although the arena’s management is in the hands of the private sector. As part of its restoration the Orpheum may qualify for historic preservation tax credits, a government spending program that I oppose. That subsidy, if obtained, is quite small compared to the total taxpayer funding of the arena. Kansas tax policy. Several news outlets have reported on how hard Kansas state officials are working on crafting a new state tax policy. That worries me. The best tax policy is one that is simple and fair to all. The more tax policy is worked on, the more likely it is to contain measures designed to manage the behavior of people and business firms. This would be a continuation of the conceit that the state can manage economic growth, and contrary to the concepts of economic dynamism for Kansas, where fertile ground is created for all companies. Petition drive is on. Last Friday citizen activists started the petition drive to give the people of Wichita a chance to vote on crony capitalism or free markets. See Our Downtown Wichita (motto: “Limited government and free markets in Downtown Wichita benefit everyone. Centralized planning and crony capitalism benefit only a few.”) for more information. Kansas education scores mixed. From Kansas Reporter: “Kansas students’ performance on reading and math proficiency improved for the 11th consecutive year, according to Kansas State Department of Education’s latest State Report Card for schools released Tuesday. Some 87.6 percent of the students tested turned in scores in the top three of five performance levels for reading and 84.7 percent achieved similar scores in math. But two other performance yardsticks show different results. Statewide Kansas test scores on ACT college entrance exams, which are averaging 22 points out of a perfect 36, have been flat for the past five years. … Most Kansas statewide reading, writing and math scores on the National Assessment of Educational Progress, or NAEP, tests have changed little since 2000, according to the U.S. Education Department, which counts the test results as the broadest national measure of how school systems compare state by state. ‘Fourth-grade math tests have improved significantly, but that’s about it,; said Arnold Goldstein, program director for the federal Education Department’s National Center for Education Statistics.” Complete story on Kansas Reporter at Kansas education scores proved mixed picture of schools’ success. ‘Federalists’ author to appear in Wichita. On October 25th Kansas Family Policy Council is hosting an event in Wichita featuring Joshua Charles, a recent KU graduate who has teamed up with Glenn Beck to write the book The Original Argument: The Federalists Case for the Constitution Adapted for the 21st Century. The book debuted at the top of the New York Times Bestseller List in July. … KFPC says “The event will be at Central Christian Church (2900 North Rock Road in Wichita) on Tuesday October 25th at 7:00 pm. Doors will open at 6:30 pm. This is a free event and dessert will be provided for attendees.” RSVP is requested to 316-993-3900 or [email protected]. Kansas gas wells appraisals. Some Kansas counties use different methods of gas well valuation for tax purposes, writes Paul Soutar in Kansas Watchdog: “The method used to appraise the tax value of gas wells in Stevens County is ‘not correct or appropriate’ according to a report commissioned for Stevens County and released at their latest meeting. The method is or has been used for at least nine years, possibly since the early 1990s, in nine Southwest Kansas counties covering much of the Hugoton gas field, the ninth highest producing field in the U.S. in 2010.” … The complete investigate report is at Report Says Gas Well Appraisal Method ‘Not Correct or Appropriate’. By Paul Soutar, Kansas Watchdog. WICHITA — Budget Director Steven J. Anderson outlined how he and his boss, Gov. Sam Brownback, would like to improve the fiscal affairs and economic recovery in Kansas. But Anderson admitted the effort isn’t likely to win him many friends. 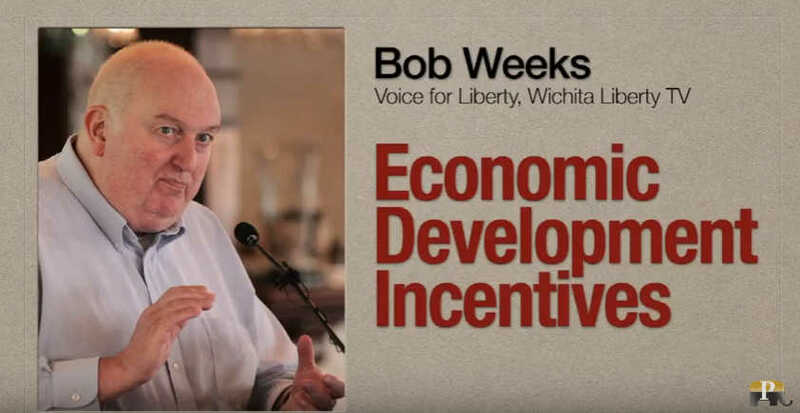 His presentation to the Wichita Pachyderm Club Friday included much for fiscal conservatives to like, including efforts to reduced state spending, lower income tax rates and make state government more efficient. But some planned initiatives probably won’t sit too well with a portion of the Republican base. Anderson said he thinks the Fair Tax, a proposal that relies on a sales or consumption tax and eliminates virtually all other taxes and exemptions, would not work politically. “From a strictly numbers perspective it’s very viable,” he said. Anderson also said he prefers to keep the 19 percent sales tax increase, from 5.3 to 6.3 cents on the dollar) enacted by the 2010 Legislature. “That isn’t wildly popular among some members of my party,” Anderson said. Repealing the tax increase was high on the priority list for many freshmen legislators. Senate Bill 1, which would cap state spending and use sales tax revenue to reduce income tax rates, passed the House and is likely to get another shot in the Senate next year. Opponents of SB1 argue that sales taxes place a greater burden on the poor who spend a higher percentage of their income on necessities. Recent experience shows that improving the state’s fiscal health and competitiveness will not be as simple as cutting one tax and increasing another. In August 2009 QuikTrip demolished a store in Kansas then built a new one on the same property just a few feet to the east so the store, cash registers, and gasoline tanks are on the other side of the state line in Kansas City, Mo. The company said it pays lower taxes, has a better regulatory environment and has more customers who save money on gasoline taxes, sales taxes and cigarette taxes. Kansas loses an estimated $1.4 million in tax revenue each year because of the move. Anderson, a Kansas native and graduate of Fort Hays State University, has an accounting practice in Edmond and worked for Oklahoma Gov. Frank Keating from 1999 to 2002 in the Office of State Finance. He moved back to Kansas to work with Brownback. One of Brownback’s early initiatives was creation of Rural Opportunity Zones (ROZ). The program offers individuals income tax exemptions for up to five years and up to $15,000 in student loan forgiveness for moving into one of 50 rural counties. Anderson’s presentation addressed complaints that Brownback’s team is doing too much or too little. Newly elected fiscal conservatives and their supporters have said Brownback didn’t move fast enough on reforms during the 2011 Legislative session. Anderson said Brownback’s team is continuing to explore data that was not available during the transition and is finding additional opportunities for reforms he expects to be unveiled soon. Anderson also said reforms must not be stalled by projections of economic improvement based on improving income tax revenue. He said about $100 million in recent income tax revenue is from capital gains tax paid by filers who chose to sell investments now rather than after a feared federal capital gains tax increase. As of publication time, the Kansas Department of Revenue has not replied to a KansasWatchdog request that they verify or deny Anderson’s claim. Video of Anderson’s presentation is available on Kansas Watchdog TV at Kansas Budget Director Steve Anderson Part 1, part 2, and questions and answers. Two recent articles — one national in scope, the other covering only Kansas — tell us why our budgets are so bloated and why the private sector is struggling to survive. Harris said Kansas and the U.S. need to be more competitive in order to increase exports and reduce our trade imbalance. Education reformer to speak in Kansas. Next week the Kansas Policy Institute hosts education reform expert Dr. Matthew Ladner at several events in Kansas. In Wichita, he will speak at a free breakfast event on Tuesday January 25th. Information on that event and those in Topeka and Overland Park can be found at Kansas Policy Institute Upcoming Events. Ladner, of the Goldwater Institute, will speak on the topic “Good to Great — Lessons for Kansas from Florida’s education revolution.” Florida has been at the forefront of education reform in recent years, according to a study by EducationNext. Kansas, on the other hand, ranks very low in studies that look at education reform among the states. An invitation to the Wichita event is here. RSVPs are requested by January 20th. Wichita council candidate websites spotted. This is not a comprehensive list of candidates. Instead, these are city council candidates’ websites that have been noticed. District 2, currently held by Sue Schlapp, who may not run due to term limits: Steve Harris, Paul Savage, Charlie Stevens. … District 3, currently held by Roger Smith on an interim basis: Clinton Coen, James Clendenin…. District 4, currently held by Paul Gray, who may not run due to term limits: Joshua Blick, Michael O’Donnell. … District 5, currently held by Jeff Longwell: Jeff Longwell, Lynda Tyler. Schools’ funding claims questioned. “Much of the increase in state spending for schools since 2005 has accumulated in cash reserve funds rather than being spent in classrooms, according to an analysis of unencumbered cash reserves held by districts.” The Kansas Watchdog story by Paul Soutar continues: “Carryover cash in accessible district funds has increased by $306 million since 2005, the year the Kansas Supreme Court’s Montoy decision went into effect. Cash in these funds grew to about $743 in 2010, up $187 million since 2008. The carryover, or unencumbered cash, is money appropriated in previous years but not spent and with no claims against it for unpaid bills or other obligations. The cash accumulates in more than 30 distinct funds.” … The balances in these funds rise when money is not spent as fast as it is put in. School districts argue that they need some fund balances — and they do — but the growing balances, year after year for most districts, undermines the claims of school spending advocates. Insurance costs on the rise in Kansas. 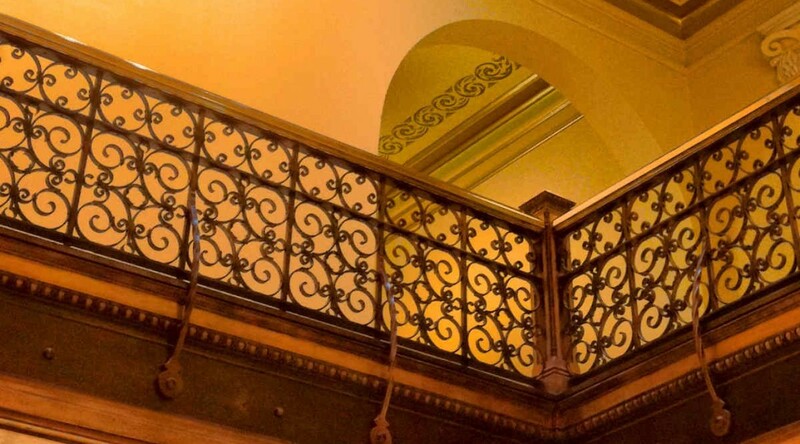 From Kansas Reporter: “Health insurance premiums have gone up 5 to 7 percent in Kansas because of the federal Patient Affordable Care Act, an underwriters’ group official told lawmakers Thursday.” Mandates for increased coverage are seen as a cause. Kansas Watchdog‘s Paul Soutar is in Massachusetts contributing to coverage of the special election for the United States Senate. Paul filed a report yesterday: Springfield Union Locals Come Out for Coakley. He’s right in the thick of it, too. American Spectator reports in Coakley Supporters Try to Intimidate.